Maddie doesn't believe in luck. She's all about hard work and planning ahead. But one night she buys a lottery ticket on a whim, and, to her astonishment, she wins! In a flash Maddie's life is unrecognizable. No more stressing about college scholarships - nope, now she's suddenly talking about renting a yacht and basking in the spotlight at school! But then rumors start flying, and random people begin asking her for loans. Suddenly Maddie finds that she isn't sure whom she can trust. Great But Don't Read the Synopsis! Addison Coleman's life is one big "what if". As a Searcher, a special type of clairvoyant, whenever Addie is faced with a choice, she is able to look into the future and see both outcomes. So when her parents tell her they are getting a divorce and she has to pick who she wants to live with, a Search has never been more important. But when Addie finds herself drawn into a murder investigation, her fate takes a darker turn. With so much to lose in either future, Addie must decide which reality she's willing to live through...and who she's willing to live without. 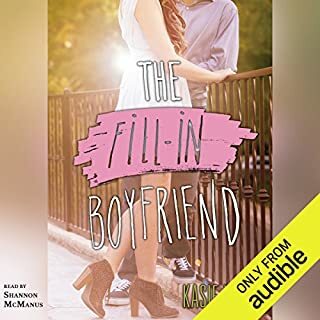 What do you do when you've fallen for your best friend? 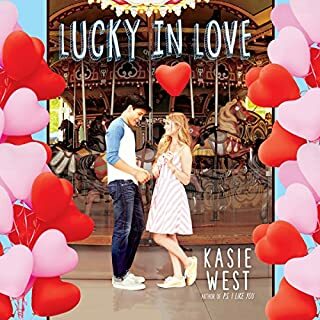 Funny and romantic, this effervescent story about family, friendship, and finding yourself is perfect for fans of Sarah Dessen and Jenny Han. Seventeen-year-old Abby Turner's summer isn't going the way she'd planned. She has a not-so-secret but definitely unrequited crush on her best friend, Cooper. She hasn't been able to manage her mother's growing issues with anxiety. And now she's been rejected from an art show because her work "has no heart". So when she gets another opportunity to show her paintings, Abby isn't going to take any chances. Abby gives herself one month to do 10 things, ranging from face a fear (three) to learn a stranger's story (five) to fall in love (eight). She knows that if she can complete the list, she'll become the kind of artist she's always dreamed of being. But as the deadline approaches, Abby realizes that getting through the list isn't as straightforward as it seems...and that maybe - just maybe - she can't change her art if she isn't first willing to change herself. This one has been on my “LIST” for sometime now. I am upset at myself for letting it sit there for this long. I think the only thing I could say that is bad about this one is the kids are too perfect and I am jealous of them ughhh! There is way too much to like about this audiobook. Loveable characters, great story flow and a narrator that absolutely knocks it out of the park. 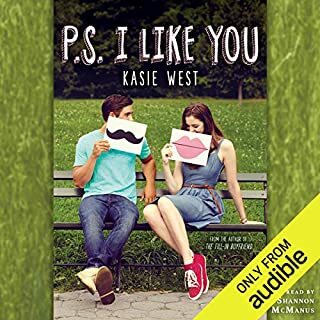 This was my second venture into the YA Romance genre and I think I am slowly being sucked in. I really liked every aspect of this one. From the very start you love the characters, even when you scream at them for being so oblivious!! Throughout the entire story it is filled with creativeness, sarcasm and a whole lot of heart (no pun intended). I do have to say I was on team Abby all the way and I found myself hating some characters just because they were not her. Among the top of my favourite list was definitely the grampa. He was so well written and really rounded out the character list. I am pretty sure this is every teenage girl’s dream come true. The narration was crisp, precise and stunning. Completely in awe and really brought the words to life. She was born to perform this book. Each character was distinct, funny, and really well done. She was able to flip flop back and forth from being several different 17 year old females, to bruiting 17 year old males while mixing in an 80 year old man, mother and father. There were also some other characters sprinkled in there too. The tone for each scene was spot on and done really well. 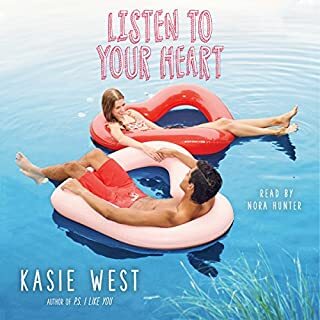 Frustrated teens you have found your voice as the emotion was just right all the way through. Such a great listening experience from beginning to end. It was easy to rate this one very high and maybe it has inspired me to make a list of my own, but I am very sure it would not be as creative or fun as this one. Two thumbs way, way up! The narrator did a fantastic job. Very sweet story. The end got a little cheesy and over-the-top but I definitely enjoyed this book. I started this book at 8 in the morning. I went to taco bell, and my three brothers got haircuts. I also finished another book. I hate reading. so much to where my AR goal has not been met a variety of times. But this book and the last book I read are amazing. Especially this one. And boy was my teacher right when she said that the climax was the best at the end. I love the author for writing this. There were so many feelings and if course I cried, who wouldn't? The characters in this book were the definition of dynamic and the plot was exceptional! Very cool of you Kasie. Very cool. This is a sweet coming of age story of 17 year old Abby. She and her best friend Cooper embark on a journey to help her bring more depth to her art and along the way feelings being to emerge. This book is so sweet and I love Abby and her grandfather's sarcasm and loving relationship. Enjoyed this story a lot! Beautiful way to accept feedback and focus on getting better. Lovely how friends and family relationships are portrayed. It was will written and giddy feeling every other chapter. I love the ending. Worth reading for the summer! More about the characters would help. In my opinion the ending of the story was wrong. Or maybe I am just not mature enough to understand it. The ending did not seem realistic. The plot was building to a particular resolution, and then the ending was just pasted on. 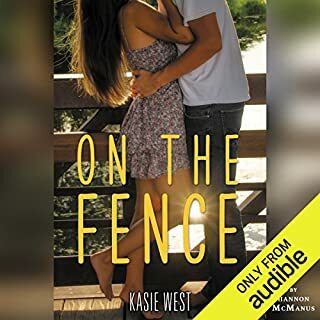 I decided to just ignore the ending and think of the book as finished when Abby talks to her grandfather in the garden and tells him you cannot control other people. 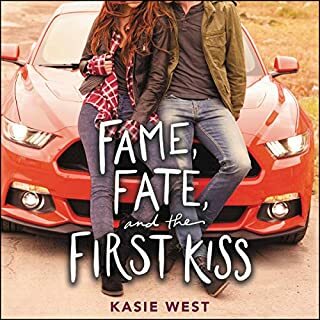 I am a fan of this author, Kasie West. One of the interesting things in this book was the impact of Abby's father being away from home. Also I wished the character of Abby's grandfather was written with more background information about his life and feelings and what happened to his wife, Abby's grandmother. This was the sweetest book EVER!! 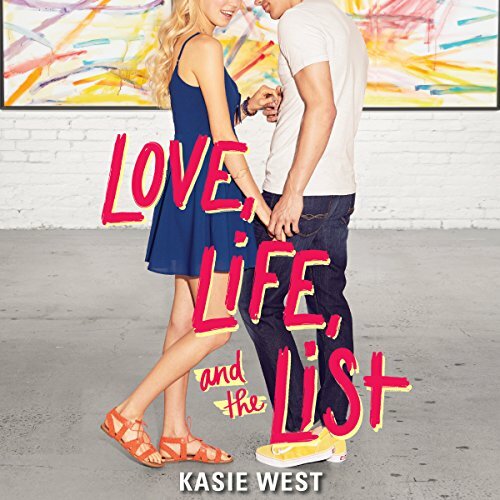 It made me laugh, cry and smile and I would recommend it to anyone who is looking for a great love story. Most of this book is spent with Abby complaining about everything. Cooper's character was not likable at all. The plot was predictable and the story crawled at slow pace.